The Driver Knowledge Test (DKT) consists of 45 multiple choice questions, each with 3 options. 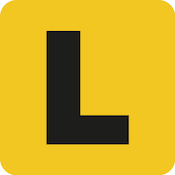 The test can assess all content in the Road Users’ Handbook. However, the DKT doesn't test everything. The 45 questions you will get are randomly selected from a publicly available bank of 364 questions. This means you can know the answer to every question before you sit the test. You should read through this question bank in the lead up to the test and reinforce this knowledge by testing what you've learned using practice tests. Alternatively, you can download a copy of the question bank from the RMS website.